Canada is a constitutional monarchy and our head of state is Queen Elizabeth, but she is generally considered a figurehead leader only. Canada's ties to the British throne are evident everywhere we look, from the Queen's image on our money and stamps to the pomp and ceremony of our parliamentary system. Canada is a constitutional monarchy and our head of state is Queen Elizabeth. But the Constitution limits her powers in government and she is generally considered a figurehead leader only. 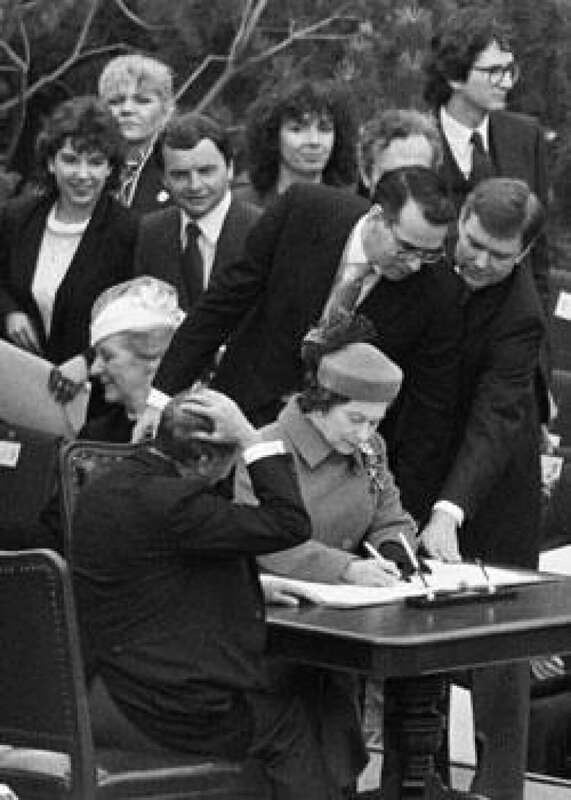 Some Canadians question the relevance of the Queen's position in Canada, in part because the nominal top official lives in another country and her position passes down to her descendants. The Governor General is her representative in Canada, proclaiming laws passed by Parliament. A poll published as the Queen and Prince Philip started a nine-day visit in 2010 suggested Canadians were feeling rather listless about the visit and the monarchy in general. Forty-four per cent said they would support a referendum on whether Canada should keep the monarchy, with 58 per cent of Quebec respondents leading the call for a national question. In a poll of Canadians taken in the spring of 2002, more than half of respondents thought the royal system was outdated. However, only 41 per cent believed it was time to abolish the monarchy, down from 47 per cent in 1994. 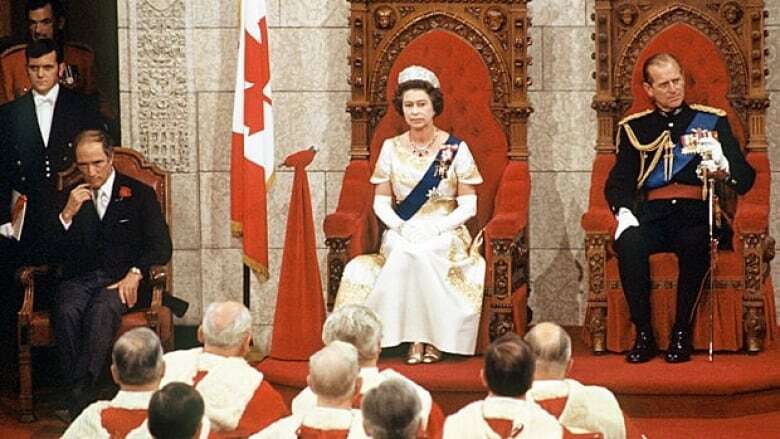 Even former deputy prime minister John Manley suggested replacing the Queen with an elected head of state, while groups such as the Monarchist League of Canada fight any move away from the Crown. Canada isn't unique in its system of government. Dozens of constitutional monarchies exist around the world. Most of them have their roots in Britain and are members of the Commonwealth. Some of the Commonwealth countries, however, have a native monarchy. Lesotho gained independence from the United Kingdom in 1966 and now recognizes King Letsie III as its head of state. He is considered a "living symbol of national unity" and has no government powers. Malaysia, another Commonwealth country, has a "paramount ruler" as its head of state. The ruler is selected by and from a group of hereditary leaders representing nine of the country's 13 states. The ruler appoints senators and judges but has limited powers under the Malaysian constitution. Some other Commonwealth countries — such as Botswana, Fiji, India and South Africa — have removed the monarchy as part of their government, choosing instead to become republics and select their own heads of state. A strong republican movement in Australia led to a referendum in 1999. The Australians voted to retain the monarchy, but the republicans blamed their narrow defeat on the wording of the referendum question. The question proposed that the president of an Australian republic would be chosen by Parliament, not by a popular vote. Many republicans rejected this option and chose to stay with a constitutional monarchy. The constitutional monarchies that exist outside the Commonwealth have heads of state with varying degrees of power. Kuwait appears to have a constitutional monarchy in name only. Both the country's prime minister and deputy prime minister are appointed by the emir. The cabinet is appointed by the prime minister from an elected national assembly, but must be approved by the emir. In Japan, the power exercised by the emperor has changed throughout the country's history. From the early 17th century to the late 19th century, Japan was ruled by the shoguns, military rulers who passed their power down family lines. The emperor was ostensibly returned to power in the 19th century following a political upheaval known as the Meiji Restoration. However, the real power rested with powerful families called the daimyo. Under the current constitution, Japan's emperor is a "symbol of state" but holds very little power. The Principality of Monaco boasts that the House of Grimaldi has held the crown for 700 years. However, the rule of Monaco will revert to France if a male heir to the house is not born. The Monegasque monarch is head of state and may appoint a minister of state from a list of three candidates selected by the French government. King Bhumibol Adulyadej of Thailand holds the title of the world's longest reigning monarch, having held the throne since 1946. Even though the position holds very little power, Thais regard their king as a true royal symbol, a source of pride for the country.